Curious to know what the best toys are for 8-year-old boys to help them develop? Which important developmental milestones are they going through? Transitioning from early to middle childhood, 8-year-old boys experience important changes and a steep learning curve (source). Selecting toys able to support this growth will be important in this development. Toys available for 8-year-old boys become more diversified and challenging as kids learn to handle more complex games and activities. 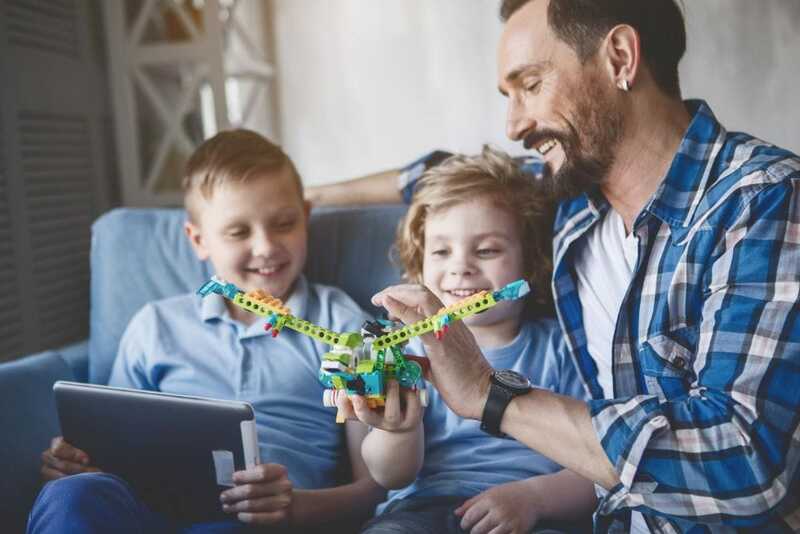 Let’s have a look at the developmental milestones for 8-year-olds to understand what makes the best toys for this age category. We’ll then share our list. Use the links above to check the latest prices or read our in-depth 8 year old toy reviews below. 8-Years-Old: What’s Developing and How? Physical: Their body shape changes as they normally start losing their baby fat around the waist (source). Athletic children begin to excel. Emotions: Kids have a better understanding of others’ feelings and handle their emotions with more balance and control. A growing need for privacy takes place. Clear self-identity and areas of specific interest develop. Cognitive: They’re able to solve more complicated problems and have a better understanding of time. They ask more questions and won’t give up until satisfied. They’re able to compare their own skills with their friends’ skills (source). Motor: Kids are fully coordinated and enjoy skipping, jumping, or running. Fine motor skills are more refined and coordination keeps improving. Language: At this age, kids learn around 3,000 words per year and usually enjoy reading. They also start understanding the concept of irony. Social: They want to be part of a group, enjoy team activities, and competition. Reading: This will help your child expand his vocabulary. Books for 8-year-olds are often interactive, interesting, and fun. They’re designed to broaden kids’ horizons and develop general knowledge while feeding their curiosity. Any games that come with instructional text should be the responsibility of your kid at this point, not you. Competitive: Toys encouraging group play and healthy competition should bring lots of laughter, exercise, and team spirit. Pool, sports, and outdoor games are all great options for this. Brain power: As their cognitive abilities develop, logic-based toys will present a greater challenge. Real-life scenarios will make this more attractive. Think building, engineering, fact memorization, and more. How can we best assist our children through this transition? Here’s our selection of the best toys to support 8-year-old boys’ development. Whether this is the first electronic circuit your child owns or it’s an upgrade, this might be one of the most popular toys for 8-year-olds. This circuit set is composed of over 30 parts, to create up to 100 different electronic projects. No tools are required and the individual parts easily click together to attach to the flat board. 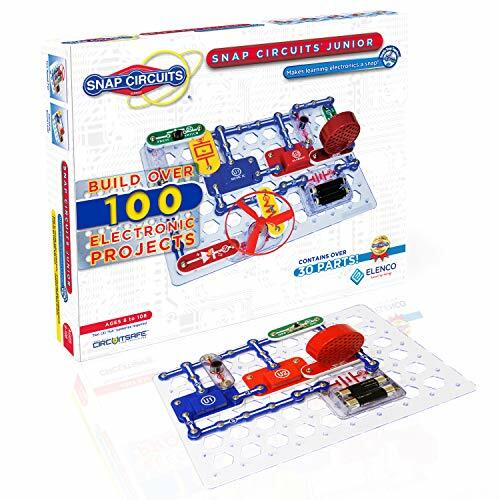 Lights, sounds, and even a fan come to life as your child builds the progressively challenging circuits. This trendy electronic kit should turn our kids into little engineers. Watch out world. Books don’t always have the same “wow” effect that other gifts give off. This National Geographic book, however, could change all that. 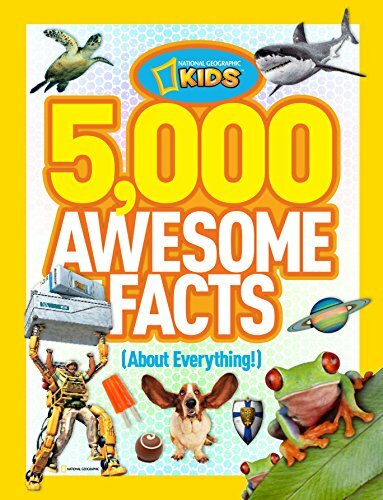 This book contains over 5,000 facts. Including colorful illustrations and photos, each page focuses on a specific subject. From chocolate to robots to sports, this book should satisfy and feed your child’s thirst for knowledge. Many parents stop reading bedtime stories to children by this age. However, reading with your child past this age can be beneficial. Keeping this special bonding time between parent and child will benefit both of you. This popular toy has over 20 awards under its belt and we can definitely see why. 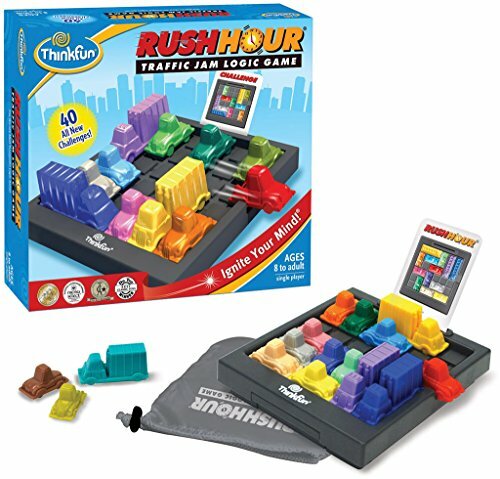 It’s so realistic–your child will have to find his way out of crowded streets during rush hour. A little too close to home, anyone? The game helps your child develop critical thinking and advanced planning skills. Forty levels allow your child to progress from a beginner to an advanced level. It comes with a bag for easy transportation when you’re on the go. A game grid, cars, and instructional cards make up this set. We have a feeling this will be a winner for family game night. 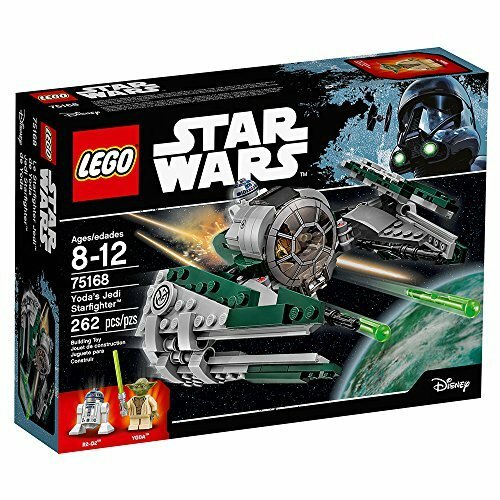 Most Lego toys are popular, without a doubt, but we think your 8-year-old will be delighted with this particular set. 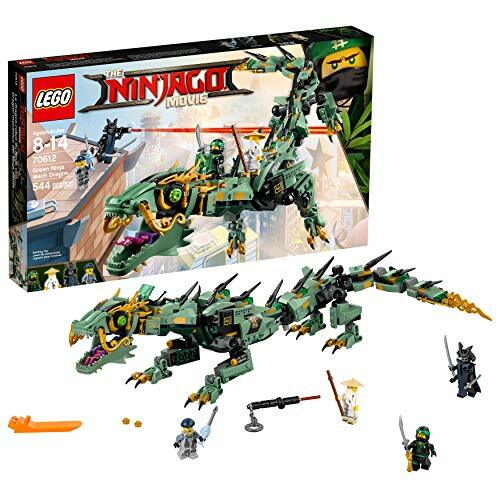 This building kit includes the Green Ninja Mech Dragon from the “Ninjago” movie, along with four characters: Master Wu, Charlie, Lord Garmadon, and Lloyd. With 544 pieces, your child’s building skills will be put to the test. The dragon features stud shooters on each side of the legs, hidden thrusters, a movable dragon tail, and articulated jaws, legs, and feet. The best ingredients for creative roleplay! When it comes to superhero toys, it seems that Lego always gets it right. 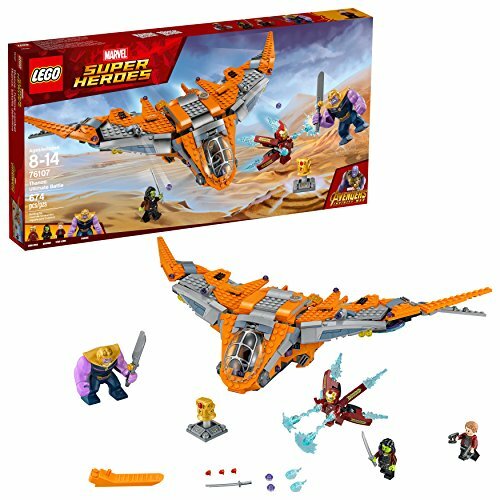 This set is inspired by the “Avengers: Infinity War” movie and comes with 674 pieces. It includes the Guardians’ Starship, and four Lego figures: Thanos, Star-Lord, Gamora, and Iron Man. The cockpit opens to fit two passengers and the rear of the ship also opens up to seat an additional two passengers or cargo. Avengers fans will have all the equipment needed to recreate the movie at home. As kids grow, it might be more challenging to find interesting games able to keep your child busy while traveling — tablets aside, of course. 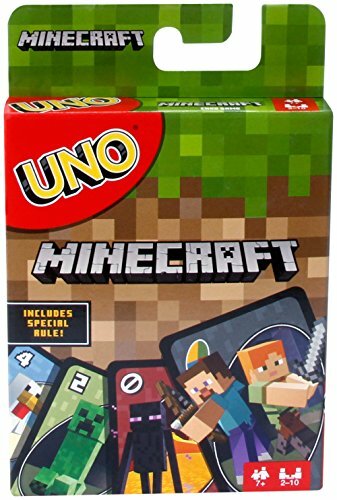 Uno is a popular card game, much-loved by kids and adults alike, and this version is Minecraft-themed, great for 8-year-old boys. Each card is numbered and displays a specific color. To spice up the game, a card can also display a symbol, such as “skip.” The winner should yell “Uno!” when throwing down his last card. This game encourages strategy while also being great fun. Definitely a family-friendly option — laughter and excitement are guaranteed while on the road. Although this game can be used from 6 years old, 8-year-old boys might have a better understanding of the science behind the 11 activities. 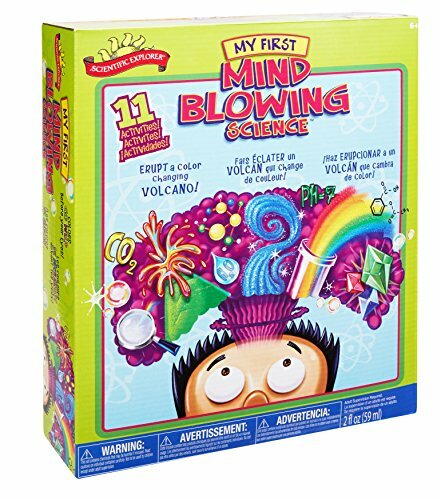 This science kit includes 20 pieces to help understand the foundations of science through chemical interactions, such as citric acid, corn starch, or baking soda. Your child will have all the tools needed to perform the experiments: pipettes, sticks, measuring scoops, test tubes, and cotton pads. A few common household items are needed to complete the experiments. To avoid disappointment, it might be best to ensure they’re available before you gift the set. Winner of many awards — including the Parents Choice Gold Award — this toy might challenge both your young man and yourself. Sixty “challenge cards” are included, with different levels, from easy to more advanced. Each card indicates the marble departure and destination points. It’s now up to your child to build the best path for the marble to successfully travel between the towers. 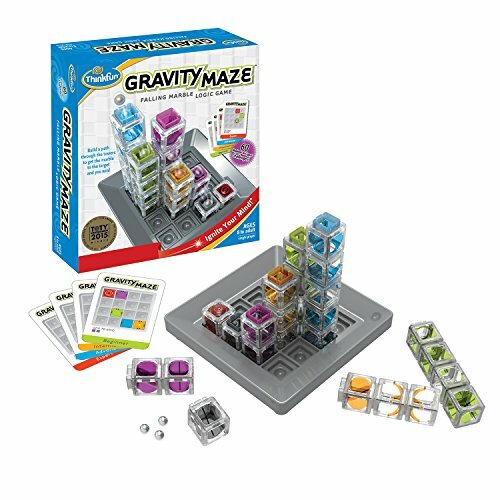 Combining engineering and building notions, the game promotes planning and reasoning skills, for your child and the rest of the family. 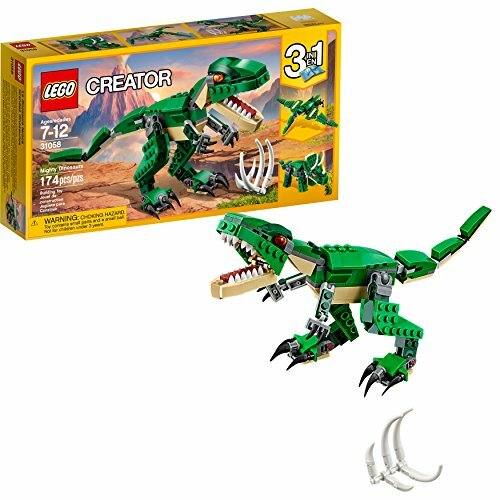 Most 8-year-old boys love building, and if your child is still in his dinosaur phase, this Lego dinosaur construction kit should be a hit. 174 pieces are included. Three toys in one, he’ll get triple the excitement, and triple the amount of roleplay. The T-rex comes with detailed teeth, claws, a moving tail, and head. Once it’s finished off his prey, it can transform into a Triceratops or even a Pterodactyl to diversify its hunting techniques. Lego has done it again and never ceases to amaze us with its creative takes on this classic building game. Anki is more than just a cute robot. 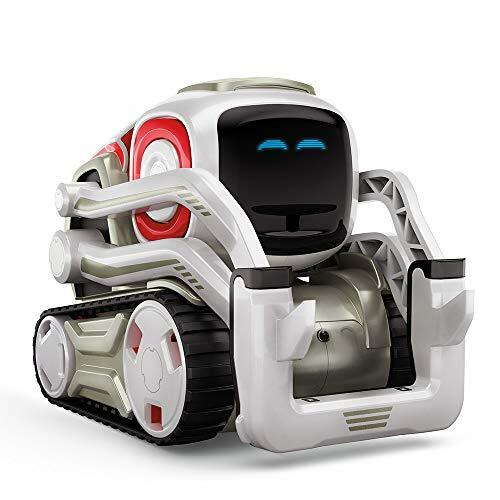 Coming with 50 gears and four motors, he also has the ability to detect obstacles. Anki comes with a built-in camera with facial recognition. He doesn’t only see your child, he can recognize him. A free Cozmo application allows your kid to take his first steps into coding. Suitable for iOS or Android only, though. A beginner mode can program Anki to sneeze or sing. The more advanced mode will allow your child to code games or even a dance party. He comes with cubes that he can lift — just wait, you’ll be impressed. If your 8-year-old boy is a Star Wars fan, this starfighter vessel is made for showing off. With 262 pieces, building the spaceship should keep your child’s brain active, fine-tuning his construction skills. The front cockpit opens for Yoda to take a seat, while R2-D2 will have his own space at the rear. The wings fold as the vessel takes off. Shooters and laser cannons encourage imagination and creativity. Yoda’s lightsaber and extra ammo are included — an important feature when battle time arrives. Pokemon Gyarados might be a nice addition to your boy’s Pokemon collection, but not in card form. This impressive blue and yellow dragon is made with 352 pieces, which can take some time to assemble. The dragon can be attached to a base in the included water table for display, but can also be used without the base for more creative play. Gyarados is fully articulated and each joint section can be rotated as needed. 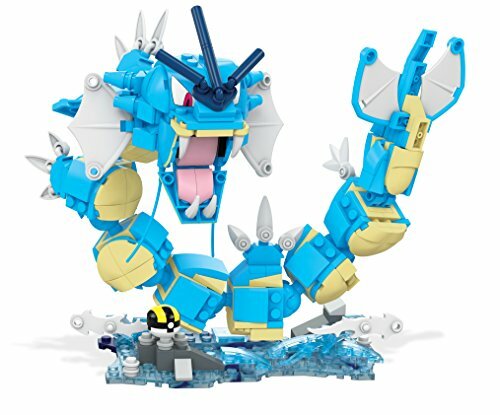 Be warned, however, other Pokemon construction figures are available and this could be the birth of a new passion for your young man. Has your child watched “Transformers: Age of Extinction” and can’t seem to stop talking about Autobot Hound? This robot can be transformed into a vehicle in 14 steps. Users report that the first transformation can be a little tricky but is then easily reproduced afterward. 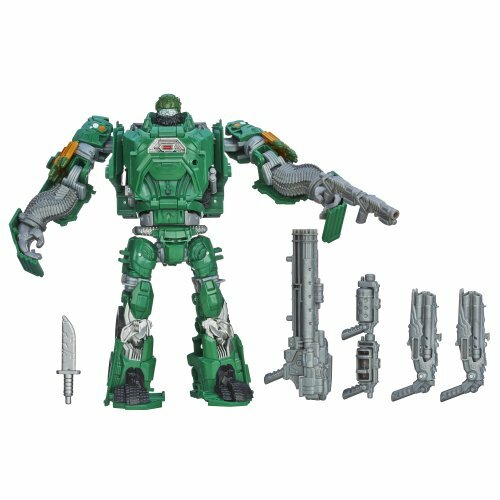 Autobot Hound can hold eight different weapons, and when in truck mode, the weapons can be attached to each side of the vehicle. The weapons also come together to form a mega weapon — serious business for boys ready to wage war. Does your 8-year-old have a passion for building things? The more challenging the better? This construction set should definitely do it for him. The 207 pieces include connectors, rods, and stems. Thirteen replicas of real bridges can be built, introducing your child to infrastructure. Key bridge features and types are included, such as suspension, truss, bascule, and more. He can also come up with freestyle constructions if desired. For easy storage, and to avoid losing any of the pieces, this building kit comes in a portable tray with a lid. 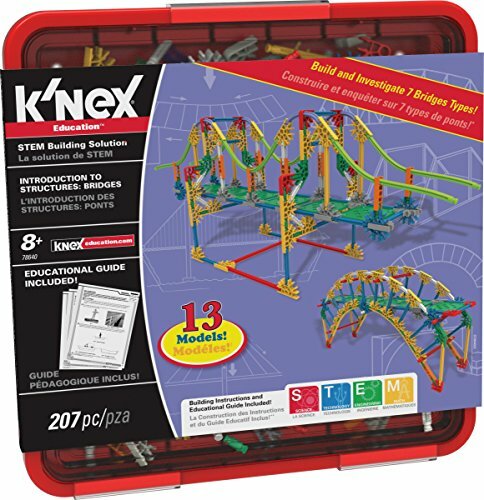 Building instructions and a teaching CD are included. We sense some independent play coming your way. Looking for an activity to improve your son’s concentration and dexterity? 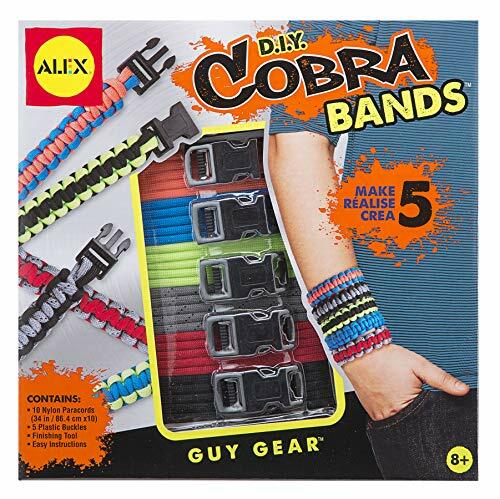 This wristband activity will teach him to make cobra knots to form fashionable bands for boys. Containing easy instructions, 10 colorful cords, and a finishing tool, this game should help your child develop his fine motor skills. The five large plastic buckles make the bands easy to clip and unclip. After the hard work, it’s time to wear the bands and show off his creations. 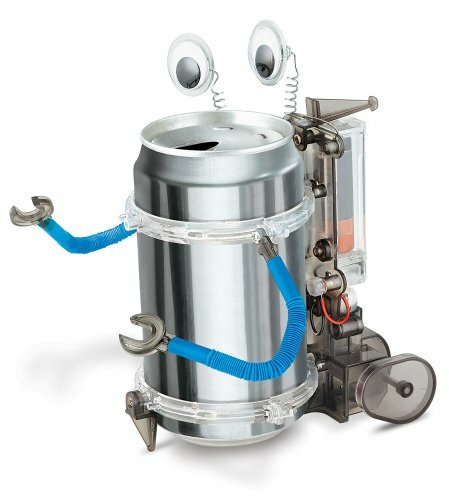 This clever little robot, which you make from an old soda can, requires uncomplicated and fun construction skills, with simple wiring. Instructions are clear and detailed, making the process a smooth one. Furthermore, it’s a great way to introduce your child to recycling, if you haven’t done so already. Once the assembly is over, simply add the can and your robot will be on its way. Please note that batteries aren’t included, but aside from that, all the necessary components are in the box. 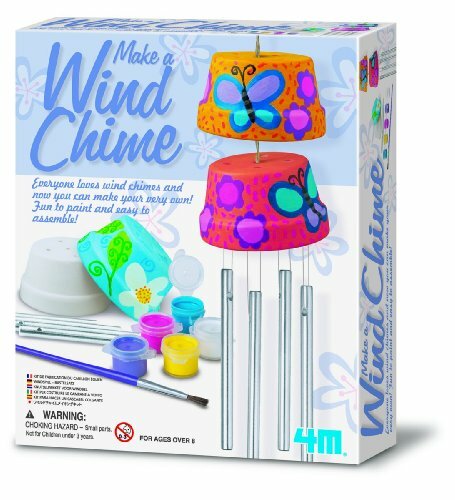 This wind chime kit will certainly encourage touch, sight, and sound while promoting imagination. Combining art with wind power, science fun isn’t forgotten either. At this age, boys thrive on independence. This chime can add a personalized touch to your son’s bedroom window or possibly be gifted for decor on the patio. Most of the fun will consist of artistically designing and painting the two terracotta pots that make up this wind chime. The theme is totally up to your 8-year-old. Paints, brushes, and hanging materials are included, except for a hook. Are you looking for a new outdoor activity for the kids to enjoy? Your boy may not be familiar with hockey but it doesn’t matter, as this set brings the fun outdoors and the neighborhood kids are sure to want to join in. 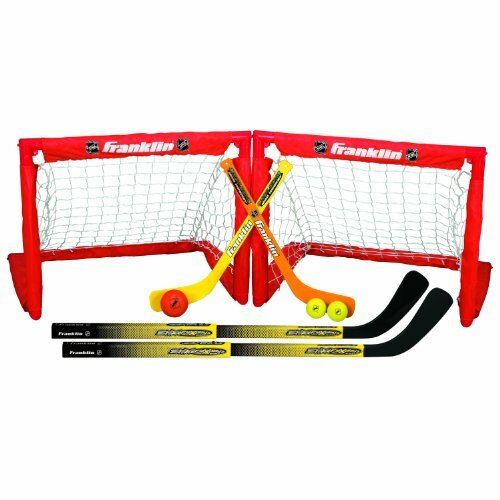 It includes two goals, one hockey ball, and two height-adjustable sticks allowing kids and adults to play. It also comes with two foam knee hockey balls and two shorter sticks for knee hockey games. Worried that the material won’t withstand your 8-year-old’s passionate play? These goals are made of high-quality ABS plastic and polyester, with nets suitable for all weather conditions. This hockey kit can be easily folded and transported to the garden or park. Catch and throw games are always so much fun at the beach or at the pool. Kids, however, sometimes have a hard time throwing the ball fast enough, far enough, or in the right direction. This game fixes all of the above challenges your child might face. The edge of the racket features a hook to launch “Djubi” the ball as far as 100 feet. Djubi even floats, so the fun can be brought in the water or on land. The rackets contain a deep net making it easier to catch the ball, and the ergonomic handles mean the rackets are comfortable to hold. Two rackets and two balls are included. 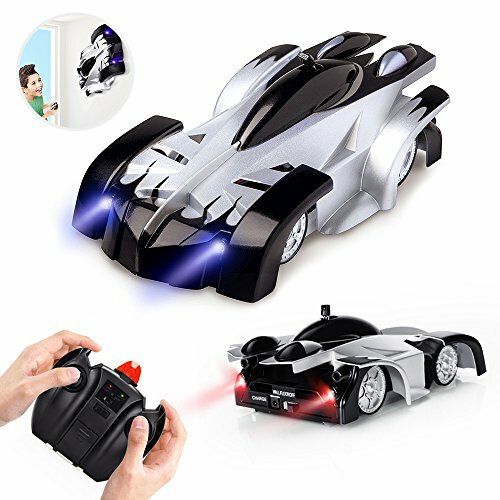 This remote control car is one of a kind. In addition to driving in all directions on the floor, this car also runs up any flat wall, ceiling or window. Beware of what you’re getting yourself into, momma. With help from the infrared remote control, the car can also make 360-degree spins on all surfaces: wood, glass, mirrors, and more. The front and rear lamps add a cool touch and your boy is going to be revving it up in no time at all. The car includes a convenient USB cable when the battery is low on juice. At 8 years old, your child might start asking for a more sophisticated ride. This 12V electric scooter could be the perfect transition between a manual scooter and the real deal. It reaches up to six miles per hour and can be used on a variety of surfaces. The efficient brake system will help your child keep the scooter under control. Featuring a large battery and high-capacity charger, your kid should be able to drive within a 5-mile range on just one charge. 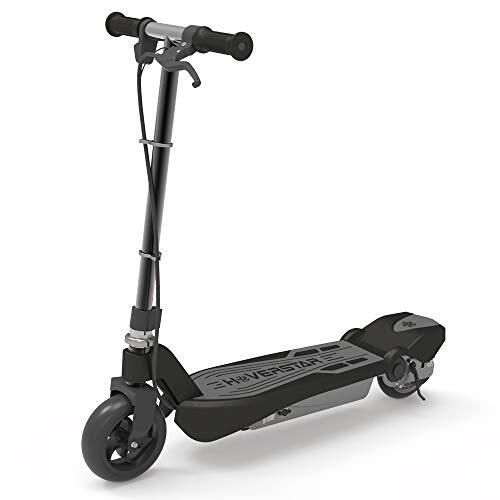 This scooter shouldn’t take more than 15 minutes to assemble and is recommended for children under 120 pounds. There we have it, our best toys for 8-year-old boys. As they mature, they appreciate and understand games better. They’re also more inclined to play independently, making more sophisticated toys an exciting challenge. Among this selection of toys, Circuits Electronics Exploration Kit would be the one I’d choose over the others, although I love all of them. 8-year-olds love to understand how things work. And with many levels available, it should keep your kid engaged and challenged for a few years. What is your 8-year-old’s favorite toy? Which toy did you purchase and was your child satisfied? Please leave us your comments in the section below.